Our mission is to match teachers with the supplies they need to create inviting and engaging classrooms. 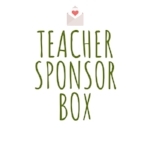 We sell subscription gift boxes for teachers. The sales floor is a cozy 500 square feet of teacher and book lover goodness. There are teacher professional books and quality children’s books, each carefully chosen for enjoyment in a classroom (or at home). Customers will also find a special selection of classroom decor, student incentives, and supplies. Teacher’s Corner is a family-owned business owned by Ruth and operated by her daughter, Tina. You will find that Tina is a knowledgeable, experienced former teacher. She is willing to work with you on finding everything you need for your classroom, homeschool classroom, or library. we are a Pasco county schools registered supplier.